Make hardpan problems history and improve drainage. At the core of every Salford product is a commitment to engineering, ergonomics and build quality. The In-Line Ripper is no exception with its double frame design for years of dependable performance. 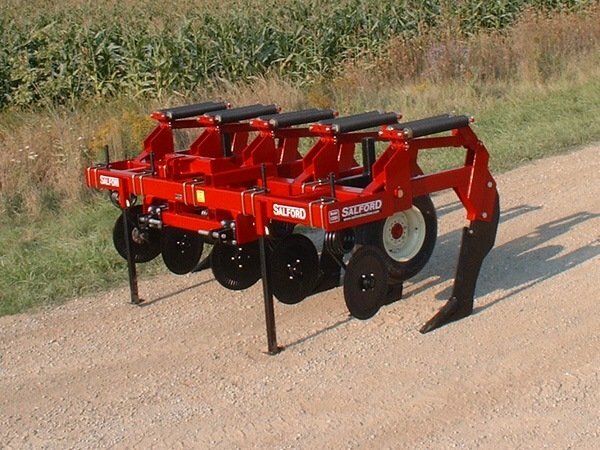 The Salford In-Line Ripper is engineered to correct compaction problems and improve aeration and drainage. Designed for hard use and deep subsurface penetration, the 39" under frame clearance takes this in line ripper through virtually any field, and the standard 4000 lb trip, automatic spring reset obstacle protection system keeps the Salford 9200 in-line ripper engaged in any soil conditions.